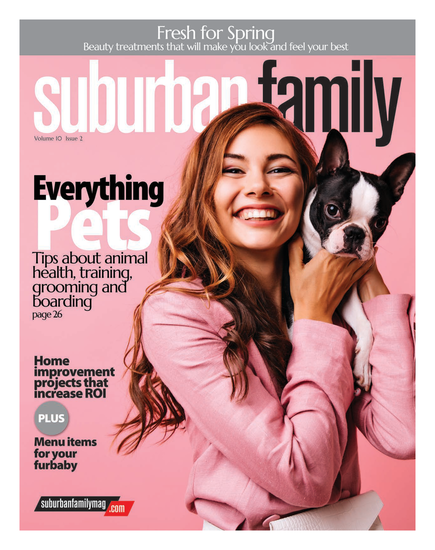 HADDON POINT APARTMENTS ARE THE NEWEST LUXURY APARTMENTS IN SOUTH JERSEY, but Tom Juliano, president and CEO of Delco Development who was the visionary for this redevelopment project, says Haddon Point is not just apartments— it’s a community. Conveniently located on Routes 130 and 73 in Pennsauken Township, Haddon Point Apartments is located at the former site of the Pennsauken Mart. To create a new community, Delco Development added more buildings and created space for residents to interact with one another. The community clubhouse features a resort-style pool and a patio area with an outdoor grill and fire pits. In the future, they will have a walking/jogging path around the property, as well as a dog park. Haddon Point Apartments consist of one-bedroom, one-bedroom and a den, and two-bedroom floor plans, with the prices ranging from $1,490 to $1,905. That includes basic WiFi and a trash valet service, Beacher says. Some of the amenities in the luxury apartments include a ceramic tile backsplash in all kitchens, quartz countertops and premium lighting packages. Delco Development specializes in commercial redevelopment and building hotels. The hotel management company wanted to bring the hospitality of their hotel division to residential, offering residents the level of customer service they can expect from Delco’s award-winning hotel portfolio. Offering luxury amenities and service is what sets Haddon Point apart from other apartmentstyle communities in this area. Delco Development is in the first phase of this residential project with 120 apartments now available. Currently, three buildings are occupied by residents and two buildings are under construction. They are breaking ground on additional buildings in the near future with elevators. Ryan Homes is also breaking ground onsite in early spring to build townhomes. The entirety of this project is exciting for not only Delco Development, but Pennsauken Township and other government officials who helped get this off the ground. 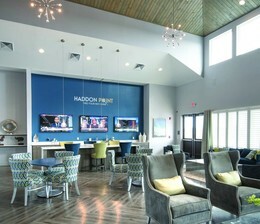 Sales office hours are Monday through Friday 10 a.m.–6 p.m. and Saturday and Sunday, 10 a.m.–5 p.m. For more information about Haddon Point Apartments, please visit HaddonPoint.com.